Highest gas recovery in its class (up to 99.6 %). Proper SF6 handling is essential and includes initial filling, evacuation, purification, and re-pressurization of SF6 tanks. WIKA's Model GFU10 provides this complete array of filling and evacuation services for SF6 equipment. This cart is ideally suited for servicing small volume SF6 equipment and consolidating partially used SF6 bottles. 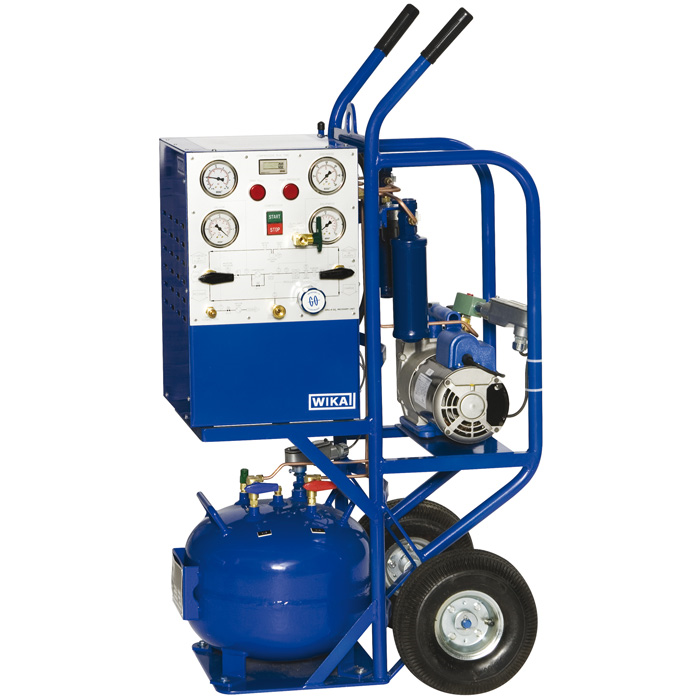 Purifies, dries, and filters SF6 to 0.1 microns during recovery and re-pressurization.